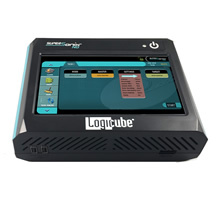 This fast, portable and budget-friendly 1 to 1 hard drive duplicator supports cloning PCIe M.2, USB 3.0 and SATA hard drives. 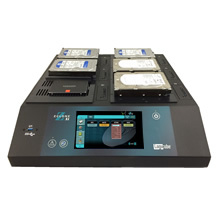 The EchoPlus™-NG delivers blazing fast hard drive cloning at 18GB/min*.. 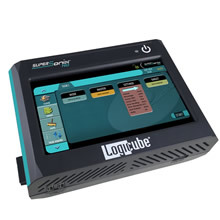 This portable cloner provides advanced features not seen in your typical entry-level duplicator, making it easy to accomplish all your cloning and wiping tasks including drive testing, software and O/S upgrades, back-ups, new PC rollouts and content/application distribution . 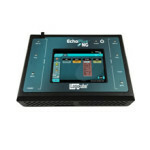 IDE & Other InterfacesThe EchoPlus-NG can support IDE, mSATA, microSATA, eSATA type drives along with flash media with the purchase of optional adapters. Wipe FeatureThe EchoPlus-NG provides a comprehensive wipe mode. DoD wipe, Secure Erase and custom pass settings. 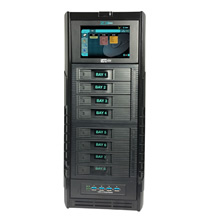 Meets NIST 800-88 guidelines. 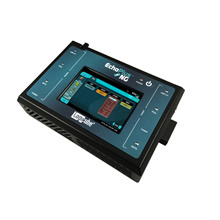 Software options can be purchased at the time of the purchase of the EchoPlus-NG or post-sale. Contact our sales team for information.